The Visual Resources Collection (VRC), on the mezzanine of Anderson Hall, provides image resources for teaching and study. The collection is made up of digital images, slides and pictures of a variety of subjects with a focus on reproductions of artwork. Equipment in the VRC may be used for viewing personal images, as well as digital images and slides from the collections. The total holdings of the libraries are more than 124,000 books and bound periodicals, 18,000 music scores, 114,000 mounted and encapsulated pictures, 18,000 digital images and 182,000 slides, 19,000 items of recorded music in LP and CD formats, and over 4,000 audiovisual materials in video and multimedia formats. In addition, over 69,000 full-text electronic books can be accessed through the library catalog. Over 50 electronic reference tools are also available online, including periodical indexes with full-text articles, databases including image and audio files, and specialized encyclopedias and reference works. To access the electronic resources, see http://library.uarts.edu under “Online Resources.” Listening and viewing facilities, Internet access, and photocopiers are available in addition to general reading facilities. Information about the libraries’ collections is available through an online catalog that is accessible via the Internet. Reference assistance and course reserves are available at each library location. An online chat service accessible on the Libraries home page is available for reference and other general questions. Some materials on course reserve are available electronically through the libraries’ online catalog. The libraries provide other information services such as interlibrary loan, class instruction in research techniques and library use, and advanced electronic research capabilities including discounted online database searching for students. 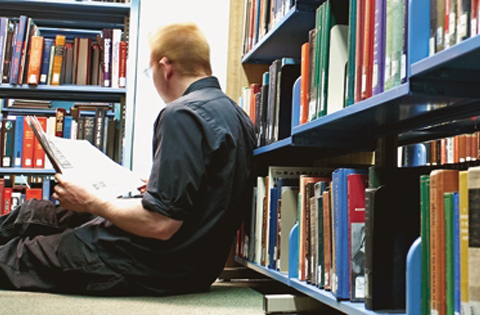 The library maintains reciprocal use arrangements with other nearby academic libraries. News about services and collections can be found on the Libraries homepage and on the UArts Libraries Facebook page.